In the short time period since the Twitter IPO its stock price has performed as if it was riding a roller coaster. Various factors have contributed to its meteoric rise to a peak, followed by a rapid decline. Market factors unrelated to the fair market value of Twitter shares have influenced the price movement. Prior to the Twitter offering, IPOs were in a state of great demand (which occurs from time-to-time) with investors of most IPOs being allocated less shares than requested. Many investors were purchasing the unallocated portion of their subscription as soon as the IPO commenced trading. The Twitter offering was highly glamorized by the financial press. Twitter shares like those of many other IPOs immediately skyrocketed in price. Twitter has many loyal users who were unable to obtain an allotment on the IPO and they and other investors for various reasons elected to buy the shares in the after market. Chart theorists added fuel to the fire as they determined buy points as the Twitter stock price rose and gathered momentum. As the stock price rose far above the IPO price it attracted short sellers. However, as ofter occurs when short sellers sell into a rapidly rising market, they get squeezed and panic, one-at -a-time, and cover their shorts at ever increasing prices, thereby driving the stock price higher. When the price of Twitter shares peaked and started to decline, various factors, acting in a manner similar to the way that gravity effects a roller coaster car, precipitated the decline. Some analysts withdrew their support based upon market capitalization and recommended sale . Stop loss orders, which have become fashionable and which were placed at various levels during the share price increase, began to be executed at declining prices, creating selling pressure. Chart theorists interpreted sell signals. Short sellers, who follow the analyst reports, know about the existence of stop loss orders and understand chart theory, exacerbated the decline by selling short at declining prices. As the stock declined, margin calls and tax loss considerations came into play and some unsophisticated stockholders sold in panic. Like a roller coaster the ride will stop at the bottom. If Twitter can generate revenues and profitability from its large number of followers, its shares will begin to rise again. If, as I expect, the rise occurs, the SEC should conduct an investigation as to when every short sale took place to try to determine the role of short selling in exaggerating stock market declines. This entry was posted in chart theory, margin calls, panic selling, securities regulation, short selling, stock market decline, stock market manipulation, stop loss orders, tax selling, Uncategorized on June 3, 2014 by sjfeconomics. Only fools, who do not understand the interplay of short selling with chart theory, stop-loss orders, margin calls, and panic selling in market downturns, think that short selling is a price discovery mechanism that leads to pricing efficiencies. In fact, it generally exaggerates price swings. Short selling is often used as a manipulative device and it should be banned or carefully regulated. The up-tick rule should be reinstated immediately. In addition, all short selling in a security should be banned when its price has declined substantially from its 52 week high. You should read the short chapter entitled “Short Selling and Stock Market Manipulation” in my book entitled “Perpetuating American Greatness After The Fiscal Cliff”. 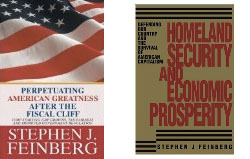 My earlier book entitled “Homeland Security And Economic Prosperity” written after 9/11 and the bursting of the .com bubble, but while the up-tick rule was still in effect, proposed strengthening the up-tick rule to prevent bear market raids by short sellers. Subsequently, the SEC ignored the bear raids in 2007 and 2008 and ignorantly eliminated the up-tick rule. My original paper on the subject was written while I was a third year law school student in 1963. Since then SEC regulation of bear raids has gotten worse, not better. This entry was posted in chart theory, margin calls, securities regulation, short selling, stock market decline, stock market manipulation, stop loss orders, Uncategorized on May 5, 2014 by sjfeconomics. For months we listened to investment experts on financial news programs advise investors to protect their positions against a market correction by using stop loss orders. As stock prices rose investors, who heeded the advice of these experts, placed stop loss orders at increasing price levels. As a result an inverse ladder of stop loss orders was created. When international currency issues and other factors set off a moderate market downturn some of the highest stop loss orders were automatically converted into sell orders and the market decline accelerated. Short sellers who have been on the side lines were able to accelerate the decline by selling short on downticks. They know the price on stock charts that chartists interpret as a sell point and begin to sell short on downticks in an attempt to encourage sales by chartists, the execution of stop loss orders and panic by fearful investors. The combination of stop loss orders, chart theory, short selling on downticks and ultimately panic and margin calls may set off a stampede leading to further market declines. Domestic and international economic growth are important to stock market activity, but the above described technical factors have a significant impact during a stock market market decline that may, because of the wealth effect and fear, lead to a downturn in economic activity. This entry was posted in chart theory, economics, margin calls, securities regulation, short selling, stock market decline, stock market manipulation, stop loss orders, Uncategorized on February 5, 2014 by sjfeconomics. We CAN AND SHOULD change our federal tax laws to encourage cash rich corporations and individuals to invest in a new type of Jump Start America Bonds to improve our transportation infrastructure, create jobs and jump-start the growth if America. We CAN AND SHOULD change our mortgage laws to assist homeowners with under-water mortgages by reducing the principal amount of their mortgages and end the housing crisis. We CAN AND SHOULD change the federal income tax laws to treat income earned in the form of a carried interest for managing other people’s money as ordinary income. We CAN AND SHOULD change the federal estate tax laws to limit the use of foundations and require all taxpayers to pay an estate tax of at least 20% of their assets in excess of $10 million dollars. We CAN AND SHOULD change our federal securities laws to prevent traders from time-to-time acting like robber barons by manipulating stock prices downward. We CAN AND SHOULD increase our defense spending to strengthen our security and grow our economy. We CAN AND SHOULD modify our healthcare system to fairly reward healthcare providers for making available the highest quality care which achieves the best outcomes; offered and equitably distributed at a cost which is affordable by the corporations, individuals and governments who are paying for it. We CAN AND SHOULD regulate our banks to limit their risk taking to enable them to maintain strong balance sheets and provide needed banking services for their customers in an equitable manner. Perpetuation American Greatness After The Fiscal Cliff discusses how we can accomplish each of these goals. This entry was posted in bank regulation, economics, entitlements, macroeconomics, Obamacare, securities regulation, short selling, stock market manipulation, tax fairness and tagged bank regulation, economics, entitlements, macroeconomics on March 23, 2013 by sjfeconomics. President Obama insists on a balanced approach to raise taxes and cut spending to reduce the federal deficit. Both raising taxes and reducing spending will hurt our economy. He doesn’t really want to cut spending. He says he is willing to address entitlement problems (which were made worse by Obamacare), but he offers only vague solutions which fail to address the real issues of excessive and growing Medicaid, Medicare and now Obamacare expenses. Squeezing drug suppliers, doctors, hospitals and insurers to reduce medical care costs is going to reduce the quality and availability of care. The Republicans were bludgeoned by the president’s misleading demagoguery into raising taxes which they didn’t want to do. They want to cut government spending to reduce the National Debt, but austerity measures are likely to cause a recession and increase, not decrease, the federal deficit. They are using the sequester to cut the rate of growth of government spending. The sequester has been politically successful for the Republicans by exposing President Obama’s demagoguery and scare tactics. However, it requires across the board cuts and, even if modified, will reduce defense spending and result in job losses (as all federal spending cuts do). President Obama will blame everything which may go wrong in our country during the next four years of his presidency on the Republicans even if he has throughout his presidency been weakening our defense and most of the job losses will result from the 2013 income tax increases and the adoption of Obamacare and Dodd-Frank. Neither party has proposed a plan to promote job creation and economic growth which will come to the aid of the forgotten middle class, increase tax revenues and reduce the federal deficit. Our politicians do not seem to understand that the goal should be to grow the GDP at a faster rate than the the rate of growth of the national debt. 3. Ways to modify our entitlements to make them affordable and available to provide quality health care. This entry was posted in bank regulation, economics, entitlements, federal deficit, federal usury law, fiscal cliff, Great Recession, macroeconomics, National Debt, Obamacare, securities regulation, short selling, stock market manipulation, tax fairness on March 10, 2013 by sjfeconomics.